2012 marks the 175th anniversary of P&O, Karim Beerahee has a look at some of the ferry companies early plans. It may be a year away from the 175th birthday of P&Os Admiralty, but plans are already in full swing for next year’s festivities. If you want to be a part of commemorating one of England’s oldest shipping companies, tickets are going on sale next week, so don’t miss out because P&O has big plans. They have already launched a website celebrating the heritage of P&O that dates back to the time of steam boats; take a look at P&O Heritage to see the archived galleries and old records. For the P&O 175th spectacular, major plans are now getting in motion for July 3rd 2012. All seven ships in the P&O fleet will be gathering for the first time ever at Southampton, where guests will board before departing on a Grand Event Cruise. As part of the Grand Event a champagne deck party will kick of the evening in style, a quintessentially British celebration will then take place, complete with marching band. Then all seven ships will depart for open seas in procession. Once out at sea the seven ships will meet up to salute one another before departing on their individual courses. This is a once in a lifetime opportunity to see what promises to be wonderful sea manoeuvre, by seven behemoths of the waves. Each ship will have a heritage theme that will include special on board entertainment and guest speakers. The Easter holidays may come late this year, but they will still come – and you can start preparing your getaway now, with a bit of help from P&O ferries. Matthias Scherer shows you how. Starting on Good Friday on 22 April, the Easter weekend offers the ideal opportunity to grab a well-earned break accross the water, a chance to sample the good food and fine countryside that the continent has to offer. P&O Ferries has vast experience when it comes to helping passengers escape over the Channel – last year, it was estimated that 200,000 people used P&O Ferries to travel to holiday spots all over Europe. 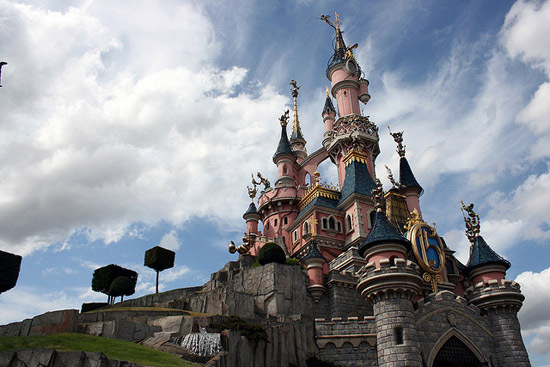 Among the great destinations vying for your holiday time is the Disneyland Resort in Paris. A kids’ favourite for decade, this year sees Disneyland celebrating the new Disney Magical Moments Festival. If you book your tickets by 10 April, you can take advantage of a great deal saving you up to 25% on hotel accommodation and tickets to Disneyland. If you head over to the P&O Ferries website, you can buy your ferry tickets as well as Disneyland Paris park tickets. This will be an Easter holiday your family won’t forget! The Netherlands, as explained before on the P&O Ferries blog, is best visited in April – which makes it perfect for an Easter getaway. The famed Keukenhof bulbfields near Amsterdam are open to the public until 18 May, giving you the chance to check out their exhibition dedicated to the fascinating Netherlands-Germany-relationship. There is a huge Easter egg hunt happening at Het Groot Melkhuis in Amsterdam – no Easter is complete without a bit of egg-related fun. P&O Ferries hope to get you on your way for your Easter getaway. Ferry tickets to Calais (from where it is a 3-hour-drive to Paris) are as cheap as £35 each way, and you can get a ferry trip to Rotterdam (just over an hour’s drive to Amsterdam) for £109 each way, with the ferry departing from Hull. Last Thursady saw the official naming ceremony of P&O Ferries latest and largest vessel, the Spirit of Britain Karim Beerahee reports. 300 VIPs were there to witness the ushering in of a new era for cross channel ferry travel, as Olympic gold medallist Dame Kelly Holmes pulled a lever to christen the £150m ferry with the maritime tradition of smashing a bottle of champagne against the hull of the ship. The VIPs were then treated to a cruise off the coastline and a catered reception. The ferry has three decks for cars and lorries that in total would span around 2.5 miles of traffic. Fortunately the passengers were gifted with a good day’s weather, so much of their time was spent up on deck, where a priest from the UK Maritime Mission charity blessed the Spirit of Britain to safe voyages and fair seas. 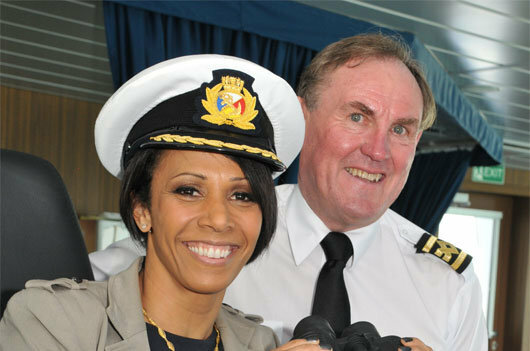 P&O Ferries is one of the largest employers in Kent, Kelly Holmes’ home county, where both sponsor local sporting charities. 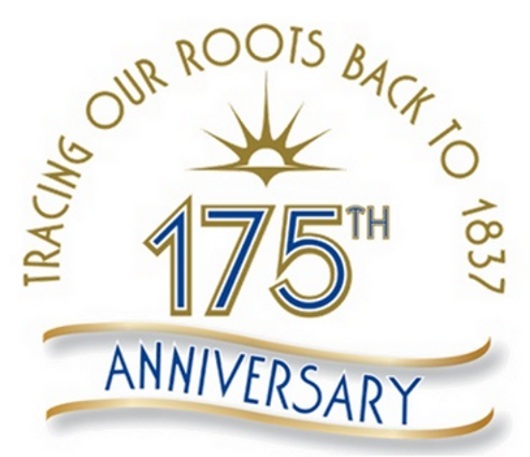 The ferry company is to celebrate the 175th anniversary of its admiralty early next month with a grand event planned. Book a trip on P&O’s latest ferry the Spirit of Britain channel crossings up to 25 times a day! The Spirit of Britain entered Dover Harbour for the first time on the 9th of January 2011. She had her launch yesterday after being named by twice gold medallist Dame Kelly Holmes. We’re bringing you a brief summary of some of the more impressive facts about this mammoth vessel. Spirit of France and the Spirit of Britain are junior to any other ferry in the fleet at Dover by 4 years. The oldest being the Pride of Calais which is due to be withdrawn from service this year for the Spirit of France to takeover. P&O’s new ferry is larger than the London ‘gherkin’ by 18 metres, measuring a whopping 213 metres in total. The overall cost of this ferry was £157m. She runs at a total speed of 22 knots a slightly, roughly 25 miles per hour, and has a deadweight of 9,118 tons. It took about 3 years from contract signing until the Spirit of Britain sailed in to Dover Harbour. The bridge section was constructed separately and lifted into position this time last year. Expansion of ferries has consistently grown since 1904 when the first car across the channel. The Spirit of Britain has near 56% greater tonnage then the Pride of Canterbury but will hold the same passenger capacity of 2000. The greater tonnage will go to support the 50 more Lorries and 350 more cars then the Pride of Canterbury can carry. So what’s next for ferries? Designs are drawn up for double-ended vessels so there’ll be less delay now that the ferry won’t have to turn around in harbour. The Spirit of Britain and The Spirit of France are the first new ferries for four years so expect a bit of wait before any new ships start across the channel. We’re nearing the centenary of World War one, and the battle fields still draw large crowds each year to visit the region where trenches once scarred their way across Europe. Everybody has seen the pictures of the poppy fields, but a visit in person is a real eye-opener. Even though the battlements are long since cleared, a sense of the mournful spirits that haunt the fields is still there to remind sightseers of the courageous and bloody events that once took place here. Services for some of the larger battles, such as the battle of the Somme, are fast approaching. Those of you who wish to learn more about these conflicts will find that memorial day is the best time to visit. A trip to northern France will give you the chance to visit the many buildings and monuments dedicated to the memory of the 1914-18 conflict. For a feel of the conditions of trench life, sights, sounds, even smells, the exhibits at the Albert Town museum in Normandy will be a genuine enhancement to your experience along the War Memorial Trail. The national Cemeteries, for each country involved, are a sight to behold. Endless identical graves in a uniform layout as far as the eye can see, a true testament to the scale and magnitude of the Great War. For an informative tour you can hire a guide in most towns, and keep an eye out for some of the lesser known places. Northern France is strewn with private owned museums, monuments set up by families, and restored bunkers for you to find. If you are planning a trip across to Northern France this Memorial Day then P&O Ferries offers a service from Dover to Calais which runs up to 25 times a day..
A month before the glitz and glamour of the renowned Cannes Festival, a more low-key but also more rewarding celebration of film takes place in Paris: the European Independent Film Festival. 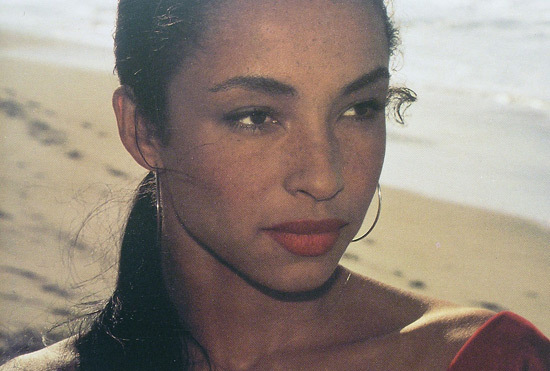 There are few more satisfying sensations than, when talking about established stars, being able to say: “I knew they were great when I saw them way back then”. The opportunity to spot future greats of the filmmaking industry arises over three days this April, when the sixth European Independent Film Festival takes place in Paris. Film fanatics, hobby and aspiring filmmakers, production company reps and agents will take over two cinemas in the heart of Paris for aweekend – he cinema 7 Parnassiens, 98 Boulevard du Montparnasse (Paris XIV), and at the cinema Christine Action, 4 rue Christine ( Paris VI) – celebrating new, innovative and bold films made independently all over the world. Although its name might suggest otherwise, the European Independent Film Festival also has international categories, where documentaries and shortfilms from countries such as Iran and Israel will be shown. One of the most keenly awaited films showing at the EIFF is the documentary “Beatles Stories” by Seth Swirsky. The US singer/songwriter spent four years collecting anecdotes, personal testimonies and stories from Beatles fans – among them music legends in their own right, such as Brial Wilson from the Beach Boys, Smokey Robinson and actor Henry Winkler (“The Fonz” in US sitcom Happy Days). Other than taking in the richness and diversity of independent world cinema, festivalgoers will have the opportunity to sit in on numerous workshops with filmmakers such as Jeff Gross, who has collaborated with Roman Polanski. For information about programme schedules and tickets (weekend passes are available from as little as €25), see the festival website. P&O Ferries can help cineasts on their way over to Paris. The ferry trip from Dover to Calais takes about 90 minutes, and from Calais to Paris it’s only a 3-hour drive via the A26 and the A1.